Elegant Pointe Claire at Coal Harbour offers a luxurious living experience! 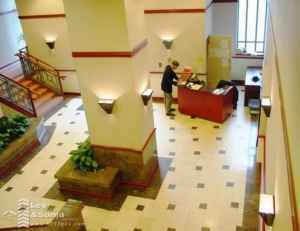 Beautiful 2 Bedroom condo unit located on the 5th floor of building, spacious 890 sq.ft. kitchen features full set of appliances including in-suite laundry. Building amenities include exercise room, swimming pool, steam room, and conference room. Pointe Claire is a highly secured building with gated parking garage and 24 hours concierge.Extra parking stall, storage locker and conference room are available for rent. 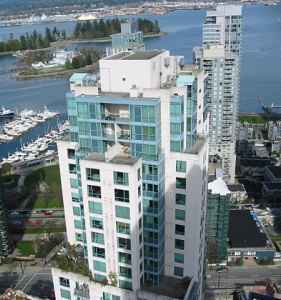 Centrally located in Coal Harbour area. Steps away from Robson Street, Stanley Park, Coal Harbour Park, Pacific Center Mall, Skytrain Station and all Downtown entertainment. No smoking, no pets. Rent includes 1 underground parking. 1 year lease. Available Dec 1, asking for $ 1975 per month. Please call Castle Management Ltd. at 604-279-1888 for showings. Include: hot water, 1 x Garage parking, hardwood floor. Minimum 12 months rental contract required. non-pet friendly. No smoking.